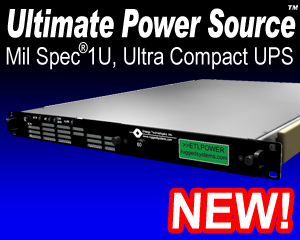 ETI's Line of Tactical Computer Workstations (TCW) are designed to reliably operate in harsh environments from multiple AC or DC power sources or internal long duration battery. 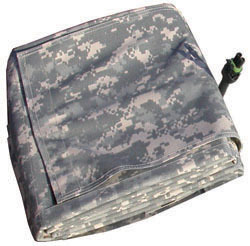 Because portable computers may fall into the wrong hands, the TCW is available with a secure Tactical Data Vault (TDV) combining fingerprint reader and security codes to assist in preventing unauthorized access. 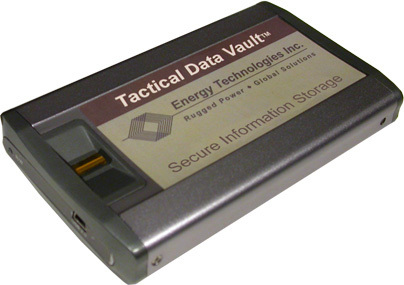 The TDV can be quickly and easily removed from the Tactical Computer Workstation to securely store or to transfer data between systems. 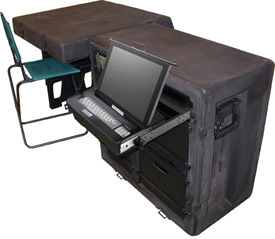 Because portable computers may fall into the wrong hands, the TCW is available installed in a durable field desk. These desk mounted TCWs come with all of the options available with the case mounted Workstations, including secure Tactical Data Vault (TDV) combining fingerprint reader and security codes to assist in preventing unauthorized access. 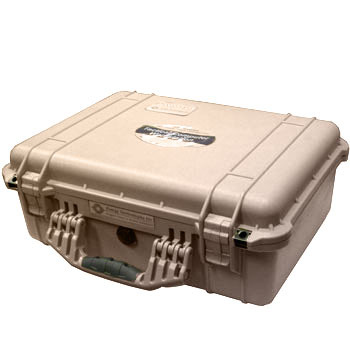 ETI’s Tactical Computer Workstations (TCW) are easily installed by just replacing a drawer, they even include the slides, drawer glides and front locking hasp. We are able to equip new desks quickly or retrofit your pre-existing Tactical Desks with ETI's TCW.